Jerry Lind is missing, which is especially strange, given that he knows he is about to inherit a small fortune. It seems unlikely that he would take off for a long time without letting someone know about it. He ought to be back by now. Moreover, the next people in line to inherit his share are also wondering if he is okay. Not that they hope he isn’t. Of course not! And at this point I have to break my narrative to let you know that I was fortunate enough to get this DRC free, courtesy of Net Galley and Brash Books. It was previously published in the 1980’s and is just now being released digitally. Back to Jerry. No, never mind, forget him for a minute. Let’s talk about our assassin. Our assassin is not getting any younger, and his wife is exhausted from all the moves. Every time he carries out a contract, they have to either abandon their stuff or get a truck, and over years and years of professional killing, it wears a woman down. She wants a garden. From now on, he needs to either make do with the significant amount he’s squirreled away from his successful if messy business, or he’s going to have to goddamn hide the bodies. It’s the least he can do for her. Peter Bragg is our man. Jerry’s sister hires him to go to Barracks Cove, where Jerry was supposed to be running a professional errand, and see if he can’t track him down. And Bragg goes in prepared. If you are sick of reading wussy narratives that give flimsy reasons for the intrepid sleuth not to carry a gun and make sure he has bullets, this is your guy, and this is your story. Has he ever fired that thing? Oh yes. But not just for practice…in the line of duty? Again, oh hell yes. And it’s a good thing, as it turns out. By the time the thing is over, a great deal of action has taken place, and though I am a six-to-eight book-at-a-time reader, the urgent, taut narrative (reminiscent somewhat of the Richard Stark detective novels from about the same period) grabbed me by the front of my shirt and held me there until the last page was turned. It was nominated for an Edgar, and the clever juggling of setting and character development, along with a plot line that is unbelievably lean and compelling, will probably leave you wondering, as it did me, why he was denied and just who exactly did get it. The consolation? If you have a kindle, you can read this book right now. Change the window on your screen and order it up. You’ll have an excellent weekend…if you can wait that long! 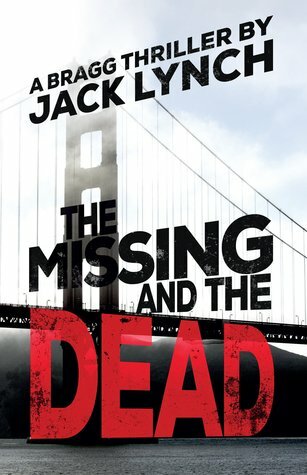 This entry was posted in beach reads, detective fiction and tagged book blog, cozy mystery, detective fiction; noir, Edgar Nominee, Peter Bragg series, The Missing and the Dead Review by seattlebookmama. Bookmark the permalink.